Mr. Luke Lonergan is the Co-Founder of Greenplum, Inc. and serves as Chief Technology Officer and Vice President. He serves as an Advisor at AlpacaDB, Inc. Prior to Greenplum, Mr. Lonergan founded Didera in 2000 and served as its Chief Executive Officer and Chairman. His background includes 16 years of management experience in computing technology ranging from innovations in supercomputing to advances in medical imaging systems. 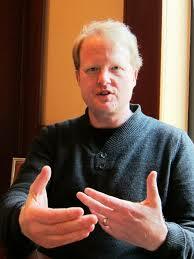 Prior to Greenplum, Luke Lonergan founded Didera, a database clustering company, in 2000 and served as CEO and Chairman. Luke's background includes 16 years of management experience in computing technology ranging from innovations in supercomputing to advances in medical imaging systems. Most recently, he directed data center integration at High Performance Technologies Inc (HPTi), scaling the business to $30M, and setting industry firsts in parallel computing subsequently adopted by IBM and Compaq. Previously he held management positions at Northrop Grumman Corporation. He holds an M.S. in Aeronautics and Astronautics from Stanford University and a B.E. in Mathematics from Vanderbilt University.